SACAS is a South African-registered company (registration number 2013/067785/07) that specializes in the certification of companies, and first party and second party auditing. We also offer gap analyses nationally and internationally on ISO 9001:2015 for Quality Management Systems, ISO 14001:2015 for Environmental Management Systems, ISO 22000:2005 & ISO 22000:2018 for Food Safety Management System, OHSAS 18001:2007 and ISO 45001:2018 for Occupational Health and Safety Management Systems and SANS 10330:2007 (HACCP) Hazard Analysis of Critical Control Points, as well as GFSI Global Markets Capacity Building Programme Basic Introduction and Basic Intermediary Audits. Furthermore offer we certifications based on ISO 50001:2011 & ISO 50001:2018 for Energy Management Systems as well as ISO 27001:2013 for Information Management Systems and is in the process to obtain SANAS accreditation in this regards. It is also with great pleasure to announce that SACAS has obtained ISO 45001:2018 for Occupational Health and Safety Management Systems accreditation by SANAS (C59e) and is the first SANAS accredited certification body whom can issue accredited certificates in this regards. New services in product certification has been added to improve our services to customers following a one stop certification service provider namely SANS 227:2007, SANS 543:2015, SANS 1058:2007, SANS 1215:2008, SANS 1475-1:2010, SANS 1475-2:2010, SANS 1575:2007, SANS 1879:2013 & SANS 1910:2009 as from the 3rd of January 2017. Product certification is where a product has passed its performance and quality assurance tests as required by a standard or legislation or complying with the national or international standards or legislative requirements. 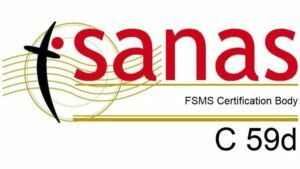 SACAS has obtain SANAS accreditation on Friday 10 November 2017 for the scopes SANS 1475-1:2010 and SANS 1475-2:2010 and is approved by the Department of Labour in this regards approvals number PER 0001 CB has been granted, and the other scopes will follow shortly. Clients can apply online or at our offices by phoning (016) 931 2001 and other schemes will follow shortly for all our clients throughout Africa. SACAS also increased its products certifications by obtaining accreditation based on SANS 543:2015 as well as SANS 1879:2013 and is also in the process now to obtain SANS 1910:2009 accreditation. SACAS is accredited by SANAS and clients are requested to visit the SANAS website www.sanas.co.za to review our accreditation. Our goal is to improve our customer’s management systems by offering value-adding certification and auditing services complying with ISO/IEC 17021-1:2015, ISO/IEC 17021-10:2018, ISO/IEC 17065:2012, ISO/IEC 17067:2013, ISO/IEC TS 17021-2:2016, ISO/IEC TS 17021-3:2017, ISO/TS 22003:2013, ISO/IEC 50003:2014, SANAS P05-09:2016, IAF, Department of Labour requirements in terms of the Pressure Equipment Regulations 19 (2) under the Occupational Health and Safety Act, Act 85 of 1993 as well as Global Markets Capacity Building Programme requirements. Management system and product, process and service reviews based on client specifications, international codes of practices, South African national standards and regulatory requirements. To provide complete, reliable and high-quality auditing and certification services in respect of the following standards ISO 9001:2015, ISO 14001:2004, OHSAS 18001:2007, ISO 22000:2005, ISO 22000:2018, ISO 27001:2013, ISO 45001:2018, ISO 50001:2011, ISO 50001:2018 and SANS 10330:2007 (HACCP) for systems certification. Furthermore SACAS also provides product certification based on SANS 227:2007, SAMS 543:2015, SANS 1058:2007, SANS 1215:2008, SANS 1475-1:2010, SANS 1475-2:2010, SANS 1575:2007, SANS 1879:2013 & SANS 1910:2009 and looking to even increase these scope in the near future. South African Certification and Auditing Services is also a SAATCA registered training course provider for Quality Management Systems (ISO 9001:2015) (QMS 032), Environmental Management Systems (ISO 14001:2015) (EMS 032) and Occupational Health and Safety Management Systems OHSAS 18001:2007 (OHSMS 032) as well as for Occupational Health and Safety Management Systems ISO 45001:2018 (OHSMS 032). Thanks to the existing infrastructure of SACAS, we are capable of operating in almost any technological, business and service field. We are able to objectively and correctly evaluate and audit an organisation and provide input in all the 39 sector codes of the European co-operation for Accreditation (EA) from IAF GD:2005, and also according to the Nomenclature Generale des Activites Economiques dans I`Union Europeenne (NACE) as well as all 13 Hazard Analysis of Critical Control Points (HACCP), all thirteen classifications of food chain categories and the GFSI Global Markets Capacity Building Programme and Basic Intermediate Programme. SACAS has implemented ISO/IEC 17065:2012 and ISO/IEC 17067:2013 and was evaluated on the standards requirements for process, product and service certification for SANS 1475-1:2010 and SANS 1475-2:2010 by SANAS and have obtain accreditation as to improve our certification services. The accreditation number C59f were awarded. SANS 543:2015 as well as SANS 1879:2013 has also already being obtained as to be accredited against based on our existing scope of accreditation for product, process and services certifications. All other scopes will be evaluated within the near future in this regards.